Having lived in Tokyo for several years, Japanese dishes make a frequent appearance on our table. A simple meal, but also a kids’ favorite, is Tonkatsu, a breaded pork cutlet served with rice and thinly shredded cabbage, all topped with tonkatsu sauce. 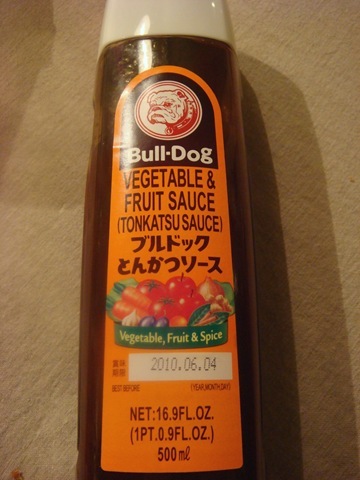 You do need two “special” ingredients to make Tonkatsu: Panko Breadcrumbs and Tonkatsu Sauce (often referred to as “Bulldog Sauce”, as they are one of the main manufacturers of the sauce). Tonkatsu sauce is sweet and tangy. It has also become the favorite dipping sauce of anything breaded (like chicken strips) around here. 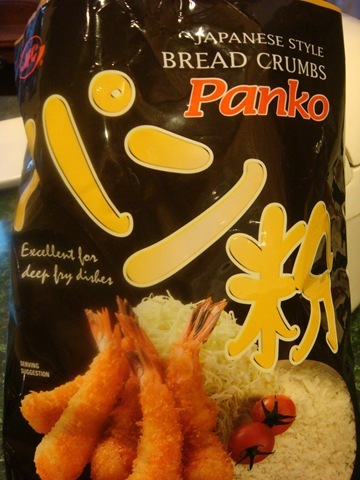 Panko breadcrumbs are available in most grocery stores, but I have only found Tonkatsu sauce at an Asian market or online. I like Asian Food Grocer for many of the hard to find things we like. 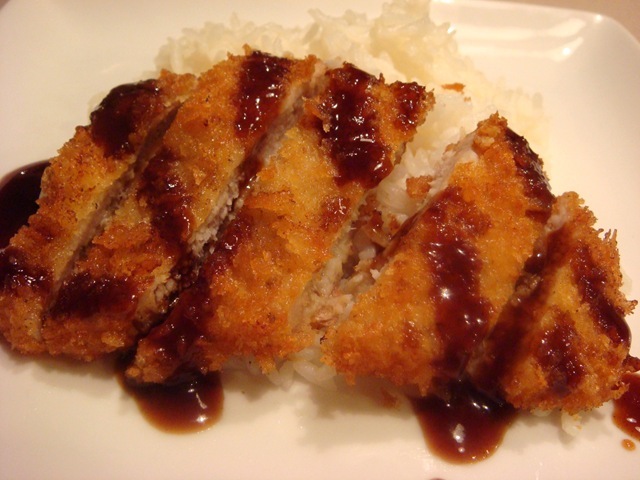 If you are not afraid of a little hot oil, Tonkatsu is easy to prepare, and doesn’t really require a recipe. 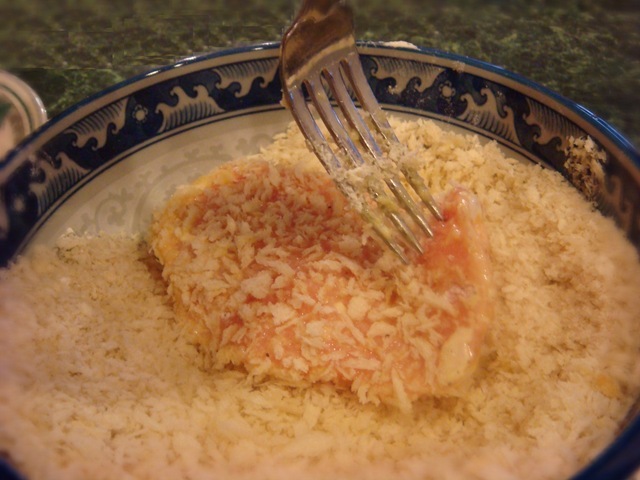 Season some flour with salt and pepper, then dip your pork cutlets in the flour, then in beaten egg, and finally in panko breadcrumbs. I like to use thinly sliced boneless pork loin chops. You could also use thinly pounded chicken breasts. Heat about 1-inch of oil (peanut is my favorite frying oil, but any mild flavored oil will work) in a skillet. Cook cutlets until nicely browned on both sides. Drain on paper towels. Tonkatsu is usually served sliced into strips (easier for eating with chopsticks) with rice and thinly shredded green cabbage. Drizzle with the Tonkatsu sauce and enjoy! Pat pork cutlets dry with a paper towel. Season flour with a small amount of salt and pepper and place in a small bowl. Put beaten egg and breadcrumbs in two additional bowls. 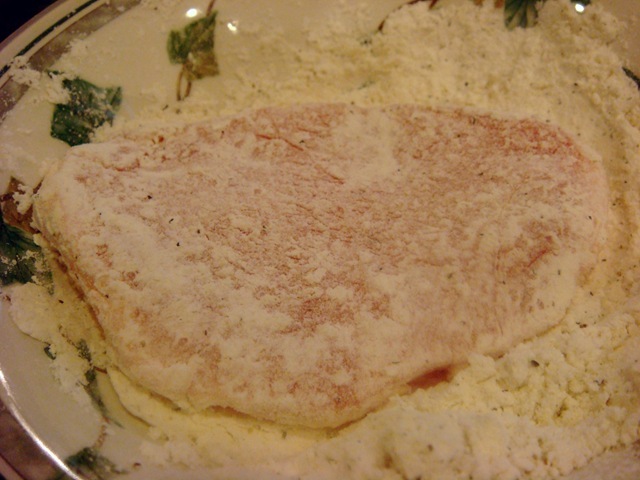 Dip pork cutlets (on both sides) in the flour, then egg, then the breadcrumbs. Heat about 1-inch of oil in a skillet until hot. You can check the temperature of the oil, by placing the end of a wooden spoon in the oil. If it sizzles, it is hot enough to cook. Cook the cutlets, a few at a time, in the hot oil, turning once, until deep golden brown. Drain on paper towels. 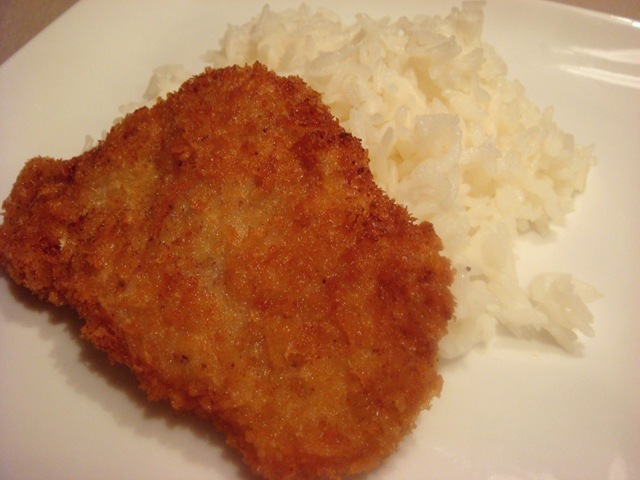 If you cooking more than one batch of cutlets, keep cooked tonkatsu warm in a warm oven while cooking remaining batches. 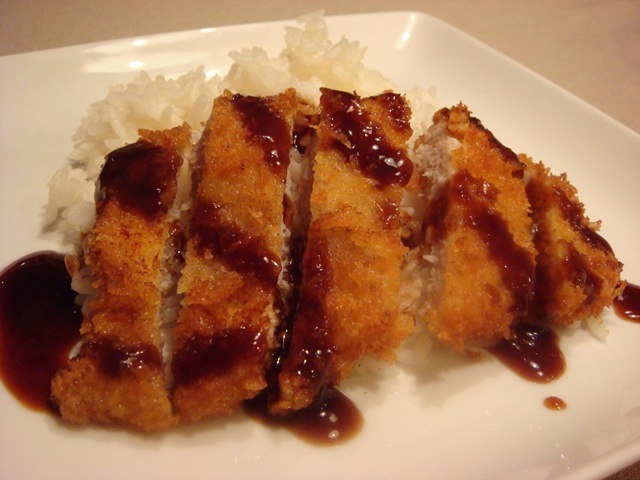 Cut into strips and serve with rice, shredded raw cabbage and Tonkatsu sauce.